There’s now an authentic British gastro-pub in Ottawa. 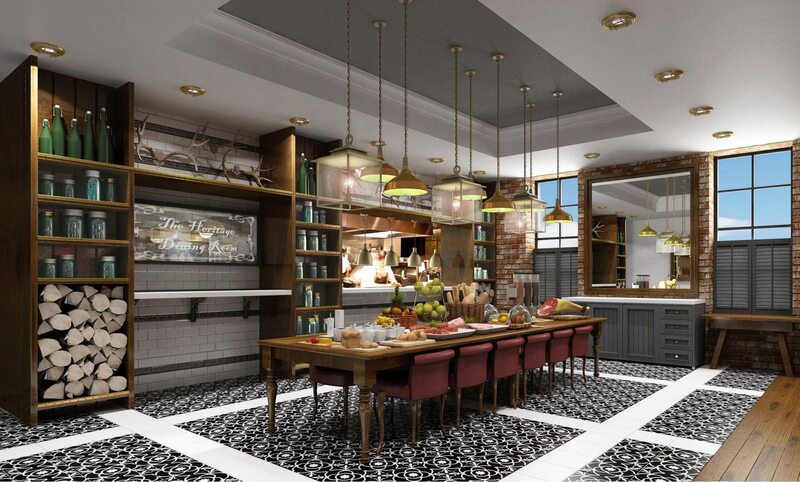 The Heritage Room is one part of The Albion Rooms in the Novotel Hotel at 33 Nicholas St. It has recently re-opened after an extensive redesign. I’m British and have spent a fair amount of time in country gastro-pubs over the years on visits to the motherland. The moment I first visited The Heritage Room, the vibe was obvious. No surprise then that it was designed by a British firm, the Glasgow- and London-based designers ICA. The dining room is divided in two. At one end, close to the kitchen, is a communal harvest table that seats 12 to 14 people, set against a back drop of black and white tiles. A large cubbyhole stuffed with chopped wood, shelves lined with mason jars of pulses, and empty growlers impart a rustic feel. At the other end you’ll find deep grey green paneling – the colour is Downpipe 26 by the quintessentially British paint company Farrow and Ball. 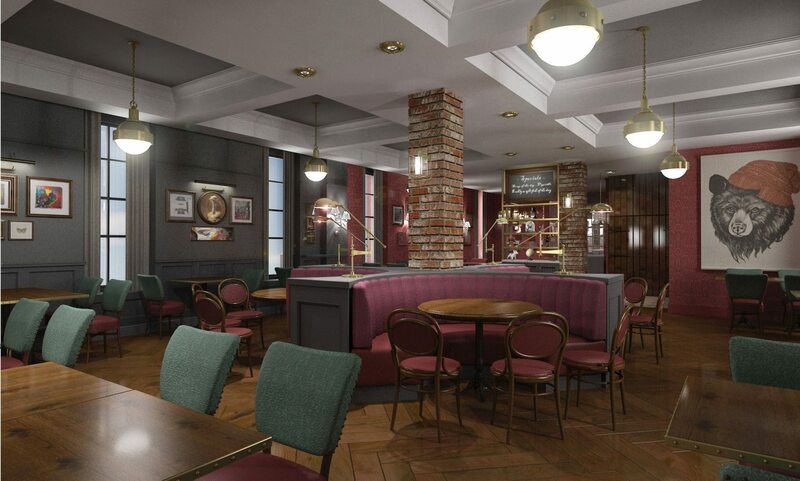 The result is a cozy, country feeling, reminiscent of many a rural British pub. Both the panelling and a coffered ceiling are faintly Georgian, faintly rustic, but also very sophisticated. Tweedy and soft textures can be found in the herringbone curtains, the velvet backs to the booths and dining chairs, and the deep red paisley wallpaper (by British designers Cole and Son). A feeling of layering has been created that echoes the many different pieces of tweed clothing worn by British country pub-goers. If there were any doubt about the farm-to-table nature of the food on offer here, photographs on the wall show earthy bunches of vegetables, chickens, farmers at work, and the odd pig. Throw in a pair of handwritten chalk blackboards, a barn door-style cloakroom hung on black wrought iron hinges, a collection of quirky-shaped vintage style mirrors, and good picture lighting in muted tones of brass, and you have the recipe for a British gastropub. Eat up!